2. 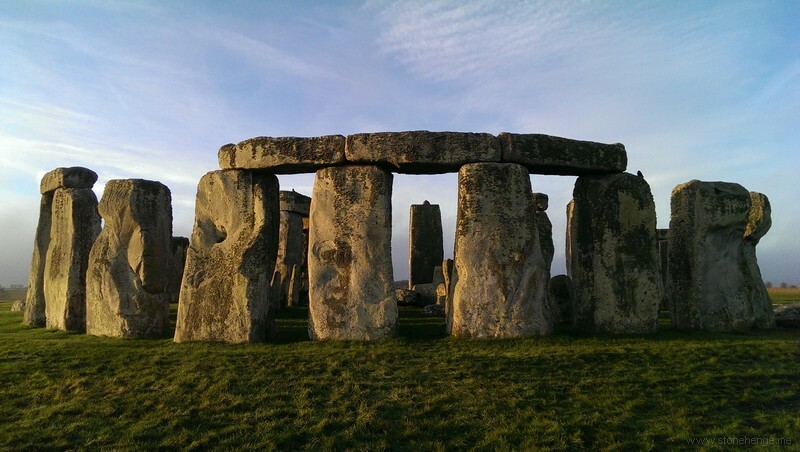 INTRODUCTION TO THE STONEHENGE VISITOR ENHANCEMENT PROJECT (SVEP) . 5.4 SAFETY MEASURES FOR PEDESTRIANS AND VEHICLES USING THE MOTORHOME PARK . 6.1 VISITOR TRANSPORT SYSTEM . 7. SAFETY MEASURES FOR THE VISITOR TRANSPORT SYSTEM . 8.1 PEDESTRIANS AND CYCLISTS ON THE A344 . 2.1 Stonehenge is a ‘must see’ top 10 paid attractions in the UK. Alongside Salisbury Cathedral, it is a key reason for why people visit Wiltshire. 2.2 In 2015/16, Stonehenge welcomed 1.34 million visitors which is considerably more than the almost 1 million (942,000) visitors originally projected in the 2009 planning application for the Stonehenge Environmental Improvement Project (SEIP). The SEIP transformed the landscape setting of Stonehenge, created a new visitor experience and provided world class visitor facilities. At the time that the plans for the new visitor centre was being developed visitor numbers were 800,000. 2.3 Visitor number projections are adjusted every year (taking into account performance, economy and tourism trends). We currently project that visitor numbers will remain broadly around 1.3-1.4 million over the next few years. 2.4 Stonehenge continues to be a very popular destination for coach tours. Approximately 60% of visitors now travel to Stonehenge as part of a group. This increase in visitors arriving by coach is good news for the Wiltshire economy and contributes to our Travel Plan’s targets for minimising travel to Stonehenge by private car. However, it has created a number of challenges for the operation of the coach park and visitor transit system, particularly in relation to capacity and pedestrian movement. 2.5 The Stonehenge Visitor Enhancement Project was created following the first year of operating the new visitor centre. Experience of running the new operation identified areas that needed further enhancement to ensure we safely and efficiently welcome visitors particularly at peak times, and firmly establish Stonehenge as a world class visitor attraction and must-see destination for visitors to the UK and Wiltshire. 3.1 To ensure that visitors coming to Stonehenge enjoy a seamless world-class visitor experience, providing the highest standards of customer care. 3.2 To address the operational challenges of the current infrastructure of the new visitor centre. 4.1.1 Our policy is that all coaches must book in advance into a time slot and we robustly manage this. During peak periods, only those that have pre-booked are permitted to park on site. Un-booked coaches are declined entry. 4.1.2 Prior to the temporary expansion of the coach park, drivers often ignored our instructions and unloaded their passengers before either ‘double-parking’ on limited pavements within the site, or ‘fly-parking’ in local laybys. Pre-booked coaches who arrived outside of their hour-long arrival window were also asked to return in their booked time slot. All of these issues were increasing the number of journeys coaches made within the local area. 4.1.3 The layout of the coach park also presented opportunities pedestrian conflicts with coaches, particularly at peak times. These issues were flagged by tour operators, who considered the original drop-off arrangements, walkways and signage provision to be inadequate for the large numbers of group visitors using the site. In addition, the existing coach bays are considered by international tour operators to be inadequate for accommodating their larger coaches. 4.1.4 The temporary expansion of the coach park has made considerable improvements. The need for toilets in the coach park to ensure that passengers are catered for upon immediate arrival has also been identified by tour operators, particularly at peak times when queues for the main toilets are a significant issue. 4.2.1 In recognition of the land trains struggling to cope with the operational demands of the new visitor experience at Stonehenge, buses were introduced to supplement the land train service. 4.2.2 Through this experience and innovation, buses have been proven to be a more effective method of transportation for visitors. A review of the future use of land trains at Stonehenge concluded that a bus-only solution to the transport of visitors to and from the Stonehenge Monument would better meet the needs of visitors and the operation. The SVEP seeks to provide appropriate turning and platform waiting areas for visitors. This document will address Wiltshire Council Planning Conditions 4 and 6 of Planning Permission Ref No. 16/03988/FUL Dated 25/07/2016 regarding the safe use of the A344 by pedestrians; safe management of coach and motorhome parking areas; and safe operation of the Visitor Transport System (VTS). 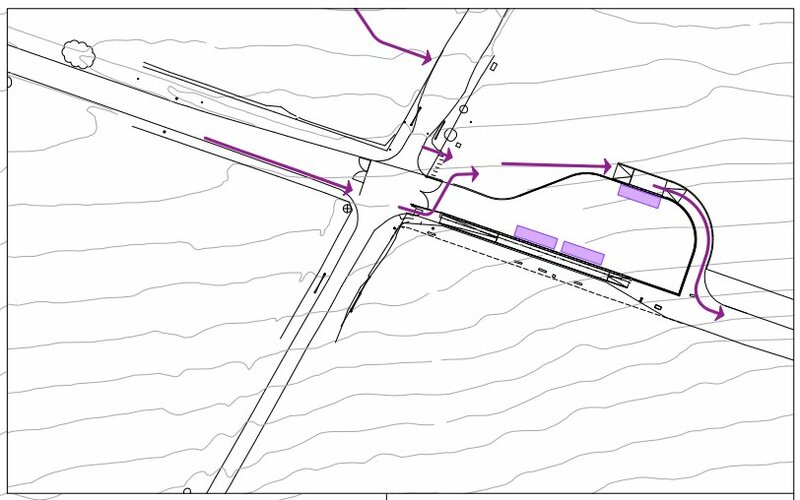 ‘Notwithstanding the submitted drawings showing the proposals for directing pedestrian arrivals in the vicinity of the A344 junction with Byway 12, prior to the commencement of the development hereby approved further details shall be submitted to and approved in writing by the Local Planning Authority demonstrating how pedestrians using the signed and lined route on the southern side of the A344 can access the Stones without having to cross the A344 or to walk within the route used by the Visitor Transit System to the east side of Byway 12. The approved details shall be implemented before the proposed bus turning arrangements are brought into effect. The details are set out in section 8 of this plan. Prior to the Visitor Transit System operations hereby approved coming into effect, a Coach/Motorhome Parking and Visitor Transit System Management Plan shall first have been submitted to and approved in writing by the Local Planning Authority. The Coach/Motorhome Park and the Visitor Transit System shall be operated at all times in accordance with the management plan so approved. 4.3.1 While both the new visitor centre and removal of the inadequate old visitor facilities at Stonehenge have been major successes, we acknowledge that the coach visitor facilities and visitor transit system have struggled to accommodate the higher than anticipated numbers of group visitors during peak periods. 4.3.2 By making the coach park expansion permanent, and providing enhanced facilities for visitors arriving by coach and improvements to the visitor transit system, the SVEP will help to ensure that all visitors coming to Stonehenge enjoy a seamless visitor experience and the highest standards of customer care. 5.1.1 The new coach park will provide coach parking for 53 coaches and a toilet block and reception office within the coach park to service customers arriving on coach/minibus as part of a group. 5.1.2 Coaches will enter the site from Airman’s Corner roundabout, down the A344, turning left into the coach park, passing the ancillary building and around the outside of the coach park in a clockwise direction before pulling up at one of 4 loading bays on the east side of the coach park. 5.1.3 Passengers will remain on board while the tour guide collects their tickets and audio guides. The tour guide will then re-board the coach, brief the group on coach park safety and then allow them to alight onto the footpath. 5.1.4 The driver then moves the coach on to the first empty parking bay available by continuing to drive clockwise around the coach park. 5.1.5 There are 28 permanent coach spaces and 25 secondary spaces. These secondary spaces will be allocated at peak times by the coach park marshal. 5.2.1 Pedestrian safety signage and 5mph speed limit signs have been placed around the coach park. 5.2.2 Where used, speed limit signs are placed on both sides of the roads as many of our coaches have come from Europe and are right hand drive. 5.2.3 A Safe System of Work is in place when using the coach park. (See Appendix F). An example of the instruction card used by our trained staff to explain the rules of the coach park to drivers and tour guides is included as Appendix H.
5.3.1 To the west of the new coach park is an area which will be designated as motorhome/campervan/RV parking. 5.3.2 On entering the Stonehenge Visitor Centre site from Airman’s Corner roundabout, signage will direct motorhome drivers to follow the same route as coaches, driving in front of the ancillary building. However, before they enter the coach park proper they will reach the motorhome parking area. 5.3.3 Signage will advise the passengers from these vehicles to cross carefully from their parking space to the closest pavement and then follow the signs to the main Visitor Centre. 5.4.1 Pedestrian safety signage and 5mph speed limit signs have been placed around the motorhome park and the entrance it shares with the coach park. 5.4.2 Where used, speed limit signs are placed on both sides of the roads as many motorhomes have come from Europe and are right hand drive.  Designated loading platform for groups. a. Alight at the unloading bays in the coach park. b. Walk down the pedestrian path to the groups loading platform. c. Board the bus(es) at groups platform. d. Either alight at Fargo Woods and continue to the Stones on foot via the landscape, or remain on the bus to the Monument platform. f. After visiting the Stones, queue for the return bus on the south side of the turning circle. g. On arrival at the Visitor Centre, the bus stops at the first platform position and the passengers disembark, entering the Visitor Centre through the shop. h. The bus travels forwards empty and turns into the turning centre. It can either collect the next passengers from the groups platform or drive around the turning circle to position 2 to collect individual visitors. b. Either enjoy the Visitor Centre exhibition and facilities first, or join the queue for the VTS behind the North Pod. c. Board the bus(es) at the Visitor Centre platform. c. Access the Education facilities at the Visitor Centre. d. Join the individuals queue behind the North Pod. e. Board the bus(es) at the Visitor Centre platform. f. Either alight at Fargo Woods and continue to the Stones on foot via the landscape, or remain on the bus to the Monument platform. h. After visiting the Stones, queue for the return bus on the south side of the turning circle. i. On arrival at the Visitor Centre, the bus stops at the first platform position and the passengers disembark, entering the Visitor Centre through the shop. j. The bus travels forwards empty and turns into the turning centre. It can either collect the next passengers from the groups platform or drive around the turning circle to position 2 to collect individual visitors. 7.1 All 3 VTS platforms will be staffed by trained Operations team members wearing high visibility vests and they and the bus drivers will operate a Safe System of Work (see Appendix G). 7.2 The modifications provided by this project will eliminate any need for the buses to reverse. 7.3 A robust fencing and queuing system will separate visitors waiting to board the buses from any moving vehicles. 8.1.1.1 The new monument VTS platform arrangements mean that upon arrival from the Visitor Centre, visitors will alight on the northern side of the platform and walk to the monument on the pavement (see Appendix D). When the vehicle is empty it will move to the southern platform to load passengers wishing to go back to the Visitor Centre and these passengers will be queued on the southern pavement. There will not be room to accommodate visitors travelling in different directions. 8.1.1.2 As a result of this layout people visiting the stones on foot along the A344 will cross Byway 12 and then cross the entrance to the bus turning circle east of Byway 12 to access the monument field (see Appendix A). This is because there is not enough space on the southern VTS platform area to accommodate the loading of passengers on the bus and walkers coming from the west. Visitors wishing to walk back to the Visitor Centre will walk along the southern platform and then cross Byway 12 onto the A344 designated pedestrian route (see Appendix B). 8.1.1.3 Encouraging walkers to approach the monument field through the landscape (as indicated on the plan in Appendix A) is in line with the strategy for the World Heritage Site where visitors are encouraged to explore the landscape visiting significant landscape features including Fargo Wood and the Cursus Barrows. The National Trust and English Heritage have worked together to create a series of interpretation panels in the landscape to encourage this behaviour. 8.1.1.4 English Heritage would like to remove as many walkers as possible from the A344, at the earliest point, to encourage exploration of the landscape and remove the risk of pedestrians and vehicles mixing on the A344 altogether. 8.1.2.1 In order to manage the mix of visitors and pedestrians on the A344 English Heritage has worked in partnership with Wiltshire Council and National Trust to put in a series of measures to mitigate the risks. See risk assessment in Appendix I.  Advice to walkers on the English Heritage website will emphasise the features of the surrounding landscape to encourage entry to the landscape at the earliest point.  Where the route via the A344 is described, a clear safety message will be given stating that walkers on the road will be sharing it with vehicles.  Upon arrival at the visitor centre all visitors receive an orientation leaflet outlining access points into the landscape and a safety warning regarding walking on the A344. This is produced in 10 languages. 8.1.3.1 When possible, trained volunteers are on hand to explain to visitors how to access the landscape safely. 8.1.3.2 Upon leaving the visitor centre safety signage will be in place to warn visitors of the dangers on the road and how to cross the road. 8.1.3.3 If people choose to walk on the A344 there is a designated walkers route on the south side with pictograms on the road. 8.1.3.4 Safety signage will be introduced where appropriate on the pedestrian route and will be agreed by Wiltshire Council and the National Trust before installation. 8.1.3.5 The National Trust are reviewing signage at access points to the landscape to encourage walkers to explore the features of the landscape. This will reduce the number of pedestrians on the road. 8.1.3.6 A full signage schedule and location map will be provided in conjunction with the National Trust at a later date. 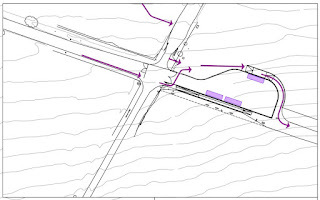 8.1.3.7 When walkers reach the intersection where A344 meets Byway 12 they will be required to cross the Byway and then cross the entrance to the bus turning circle east of Byway 12 (see Appendix A). Staff will be waiting on hand to greet them and check their admissions ticket, and to direct walkers safely towards the monument field via the pavement along the northern platform. The tarmac surface of the new pedestrian crossing area will be clearly demarcated by a dark grey finish to contrast with the existing buff colour of the adjacent carriageway. 8.1.4.1 For full details of the Safe System of Work, see Appendix E.
9.1 A rack for bicycles is in place on the left as cyclists enter the monument field. This has been positioned for easy access by cyclists riding on the left hand side of the A344 following the standard highway code.